Here we will prove that if two angles of a triangle are unequal, the greater angle has the greater side opposite to it. 1. Let us assume that XZ is not greater than XY. Then XZ must be either equal to or less than XY. 4. But ∠XYZ is not less than ∠XZY. 5. Therefore, XZ is neither equal to nor less than XY. 1. Angles opposite to equal sides are equal. 3. 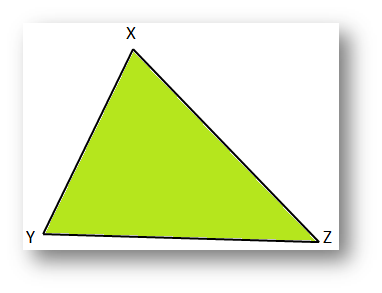 The greater side of a triangle has the greater angle opposite to it. 4. Given that ∠XYZ > ∠XZY. 5. Both the assumptions are leading to contradictions. Note: The side opposite to the greatest angle in a triangle is the longest.